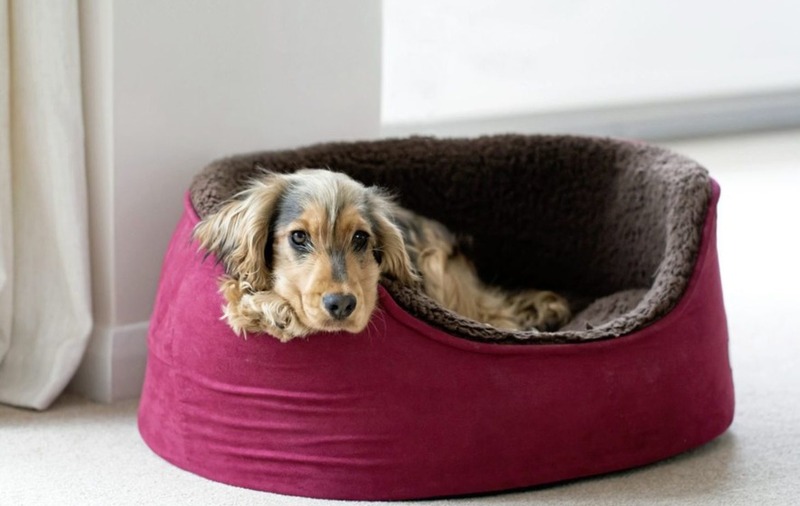 Is your dog's bed positioned in a good place? 1. A well-positioned bed: "Think about where you put your pet's bed: You don't need so much heating if your pet has a cosy place of their own. Heat rises, so unless you've got underfloor heating, the floor is a cooler environment and a lot more susceptible to draughts. Get down to your pet's level – on your knees – and it might feel like a whole different place in the house. How does it feel? Is it draughty or cosy? 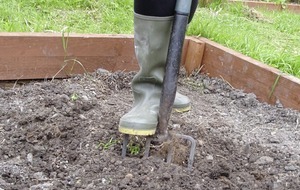 "Choose an appropriate bed and make sure it's in an appropriate place – not in a draught, not in the sun when its beating through the window and might fry them. Just think about the reasonable, simple things." 2. A designated pet room: "You don't need to heat the whole house to keep your pet warm. If you're out all day, pick a snug room that's easy to clean if you've got a pet that moults. Make sure it's not too hot or too cold – keep a radiator on in their cosy corner – perhaps with access to the outside of the house if you've got cats and cat flaps. "Even if I'm in the house, we usually have just one room heated. Put a pet bed in there – I can sit there and work – and it cuts cost to the wallet and to the planet." 3. Tech up, power down: "Take advantage of modern technology. Smart meters let you see where the power is going and what you are paying for it. I've got one and they're remarkably accurate. They do retrain you – they virtually shout at you if you put the washing machine and the spin dryer on at the same time! "A smart thermostat allows you to control the temperature all over your house, and monitor your heating wherever you are using your smartphone. So if you've got a pet in one room, you can heat only that room, at exactly the right temperature." 4. Is the TV for you or them? "Does a pet really need the TV? I think you have to look at it on a case-by-case basis. I get sent lots of videos of cats watching Springwatch and dogs watching other dogs on television. None of my poodles have ever watched TV, and it's easy to see whether your pet is responding or not. If they aren't, turn it off and let them get some peace and quiet." 5. A good hot dinner: "During winter, on cold days, food straight out of the fridge won't be very appetising. Warm your pet's meals up to ensure the food is at room temperature before feeding. 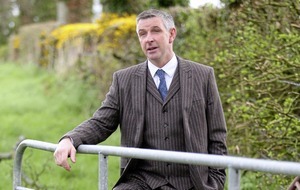 This uses a bit of energy – but nothing like as much as heating the whole house." 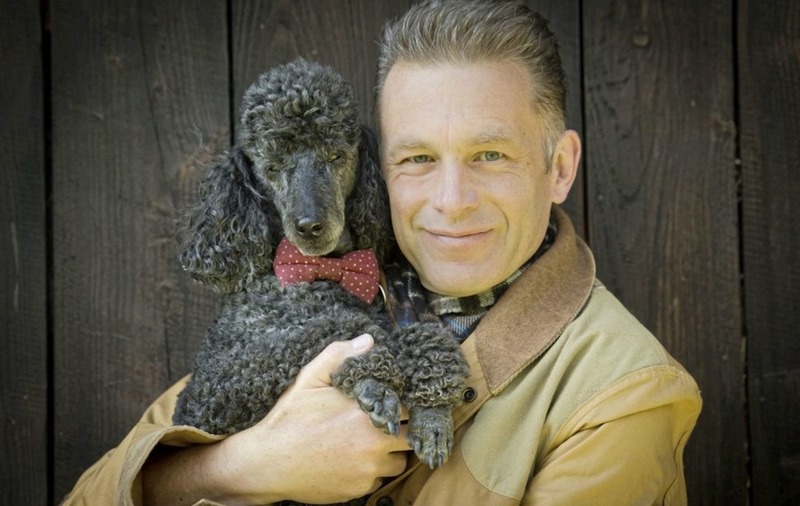 :: Chris Packham is working with E.ON Energy to help people keep their pets warm and cosy, while being energy-efficient (eonenergy.com).